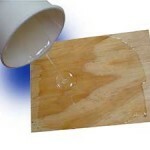 The BCC Products line of epoxy laminating resins was built based on years of experience. with our customers. We have developed both room-temperature and high-temperature resins for parts and tools.